Toss strawberries with 1/2 cup sugar and set aside. Combine flour, remaining sugar, baking powder and salt in a separate bowl. Cut in 1/2 cup butter until mixture forms coarse crumbs; set aside. Whisk together egg and light cream; add to flour mixture, stirring just until moistened. Divide dough into 6 parts; pat into biscuits and place on a greased baking sheet. Bake at 450 degrees for 8 to 10 minutes, until golden. Cool biscuits briefly on a wire rack. Split in half with a serrated knife; spread bottoms with remaining butter. Top with berries and whipped cream; add tops. Garnish with remaining berries and cream. Makes 6 servings. 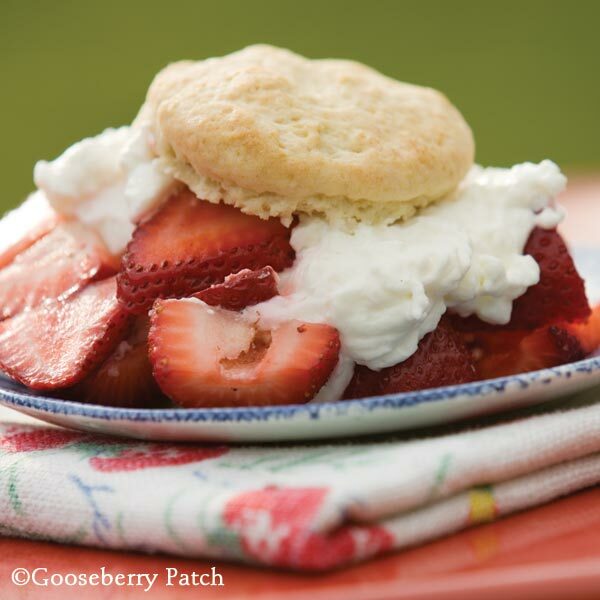 Enjoy this recipe from 101 Homestyle Favorites originally published 05/2008.